Welcome. 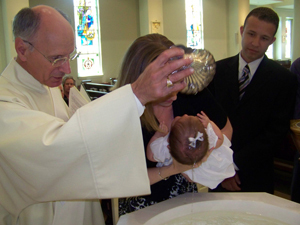 Please click “Baptismal Registration” to complete a baptismal registration form, click “submit” at the end of the form to send it electronically to the parish office or print and mail the form to P.O. Box 1800, Mashpee, MA 02649. One of our Deacons will call you before the scheduled date for the baptism. You will receive a book in the mail which gives you more information about the Sacrament of Baptism. letter of permission from your home parish. 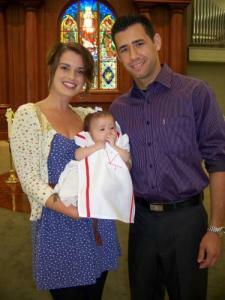 participate in the baptismal ceremony as much as they wish. For other Christians, this often means full participation; for non-baptized persons, they may choose not to do such things as making the sign of the cross or certainly not to renew baptismal promises. We have a large Church and you are invited to invite family members and friends to attend the 10:30 Mass and stay for the baptism which follows. You will need to select at least one qualified godparent or sponsor. There are normally two godparents, one man, and one woman. Godparents need to be at least 16 years of age, confirmed and, if currently married, married according to the laws of the Church. 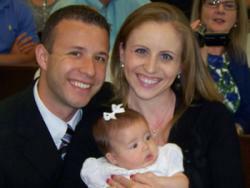 Godparents need to obtain a “sponsor’s certificate” from the church they currently attend. It is possible to have one “Catholic Sponsor” and one “Christian Witness”. A Christian witness is a person who is baptized in another Christian denomination. We commonly refer to both as godparents. Candles: These symbolize Christ – the Light of the World. The baptismal candle is lit from the paschal candle, which stands near the altar at Easter as a sign of the risen Christ. The baptismal candle reminds us that the light of Christ has entered the child’s life, and its flame symbolizes the flame of faith which will burn through the life of your child. 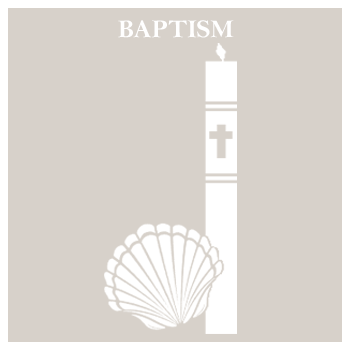 Cer tificate of Baptism: Your child’s baptism will be recorded in the parish Baptismal Register. In the years ahead proof of baptism may be obtained in the form of a certificate issued on the basis of this registration. Your child’s Confirmation, Marriage or Ordination will also be noted alongside this entry in the register. For any questions go to Contact Us.